Brunswick Hotel building on the corner of 1st and Main, now Andy's on First in Fremont, Nebraska. Picture is from March 18, 2011. 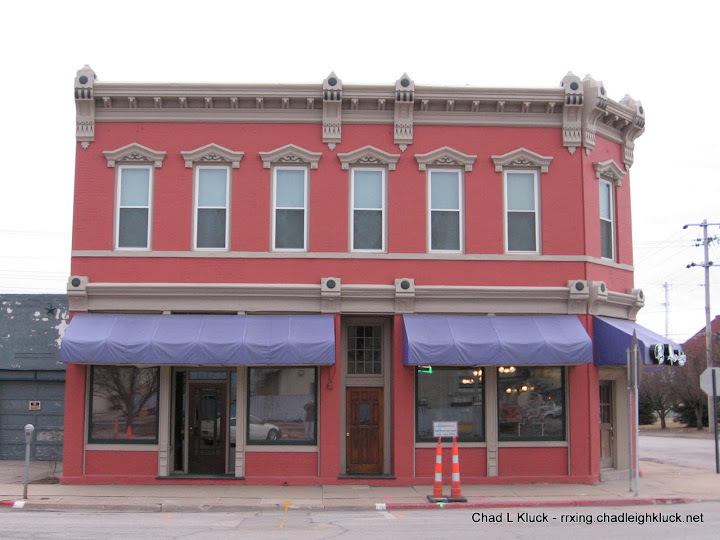 Just a block west from where the original street corner at 1st and D was plotted in Fremont, Nebraska, stands a building which for many years was a welcome sight to travelers who journeyed into the area by rail or along the Lincoln Highway. Though it has been a long time since it gave weary passengers a place to rest, it has always seemed to offer something for the hungry. 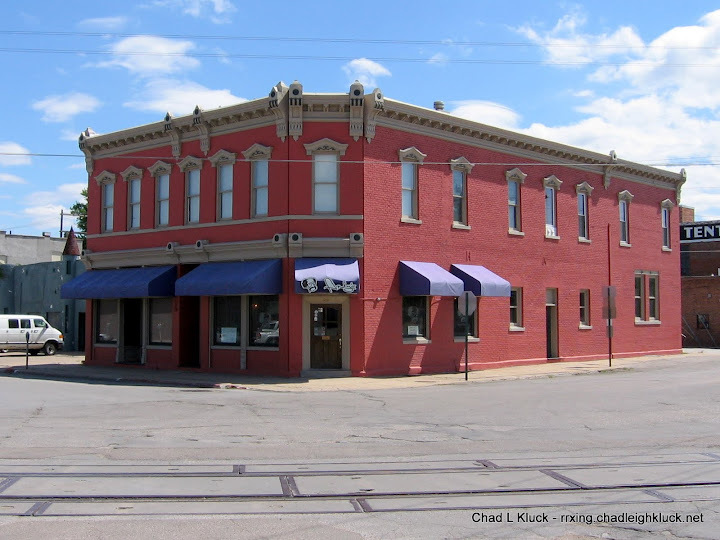 The Brunswick Hotel and Restaurant building, located at 109 North Main Street, was built around 1892 by Henry Archer who used it as a hotel, restaurant, and bottling works. When the Union Depot was built across the street to the south in 1904, the 24 hour restaurant would serve travelers and crewmen. Locals will also remember it as the Chuck Wagon Cafe and later Aurora’s. Still later, in the late 1980s or early 1990s, housed an art gallery and a restaurant called the Brunswick Inn. Today Andy’s on First, an Italian restaurant–“A Sout’side Chicago Eatery” according to their website–is located inside. 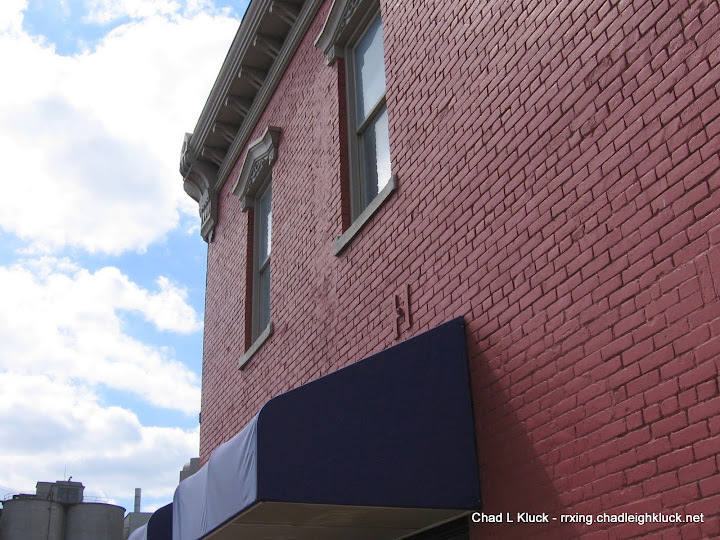 In 2009 when my son and I were watching trains, taking shade from the hot sun under the awnings, I noticed two letters on the south side of the building, an “H” and an “A”. They meant nothing to me at the time as I knew this was built as the Brunswick–and where I come from you don’t spell Brunswick with an “H” or an “A”. Still, I photographed them, albeit separately, and every time I came across the photos in my archive I just sat and wondered about their meaning. As a testament to my many open research files, each becoming more complete as I pass over them on a semi-annual check, I came across a walking tour pamphlet from the late 1980s or early 1990s. Upon review of the entry for the Brunswick I made the connection to the letters. Let’s see if you can as well (hint, re-read the 2nd paragraph). You should be able to make out the letters “H” and “A” on the south (right) side in the picture below. The answer is in the captions to the second and third pictures. Look closely and you can see two metal letters attached to the wall between the first and second floors on the south (right) side. The first (an "H") is above the awning, the last letter (an "A") is above the middle door on the side. (Click on the photo for a larger view) This picture is from June 4, 2009. Spoiler Alert: the answer to what the letters “H” and “A” stand for is in the captions below the following pictures. 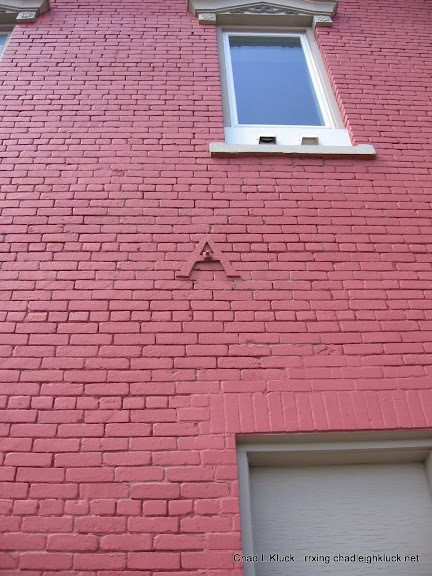 "H" is for Henry Archer, the man who had the building built around 1892. The "A" for his last name is further to the right (see next picture). "A" is for Archer, Henry's last name. The "H" for Henry is further to the left. I like hearing people’s connections to places, thanks for commenting!